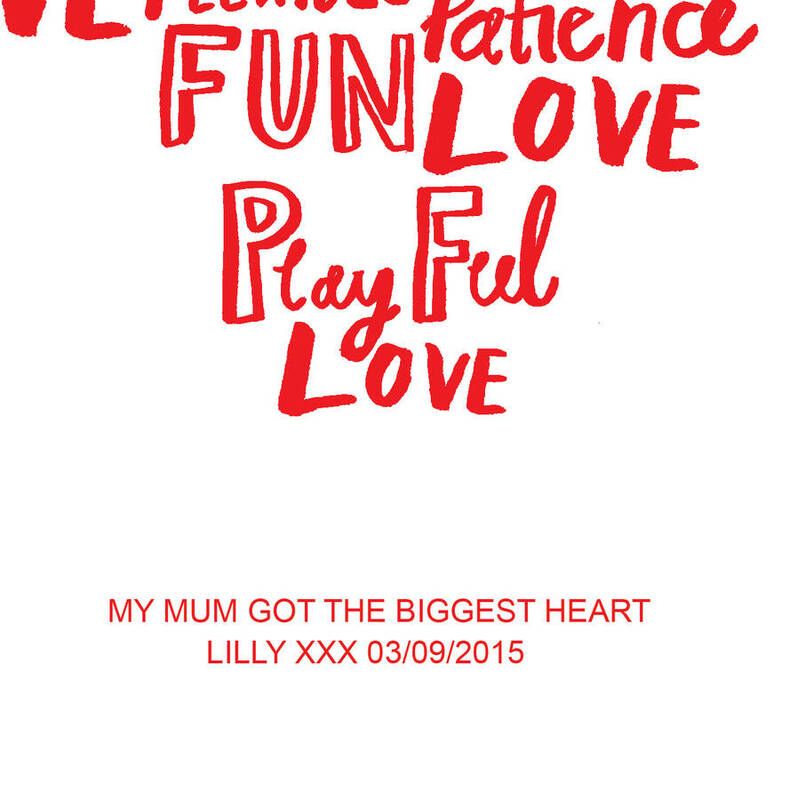 A stunning heart shaped print with the quote 'My Mum Has Got The Biggest Heart'. 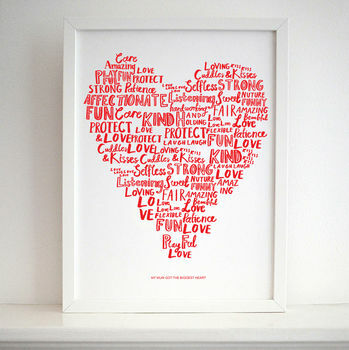 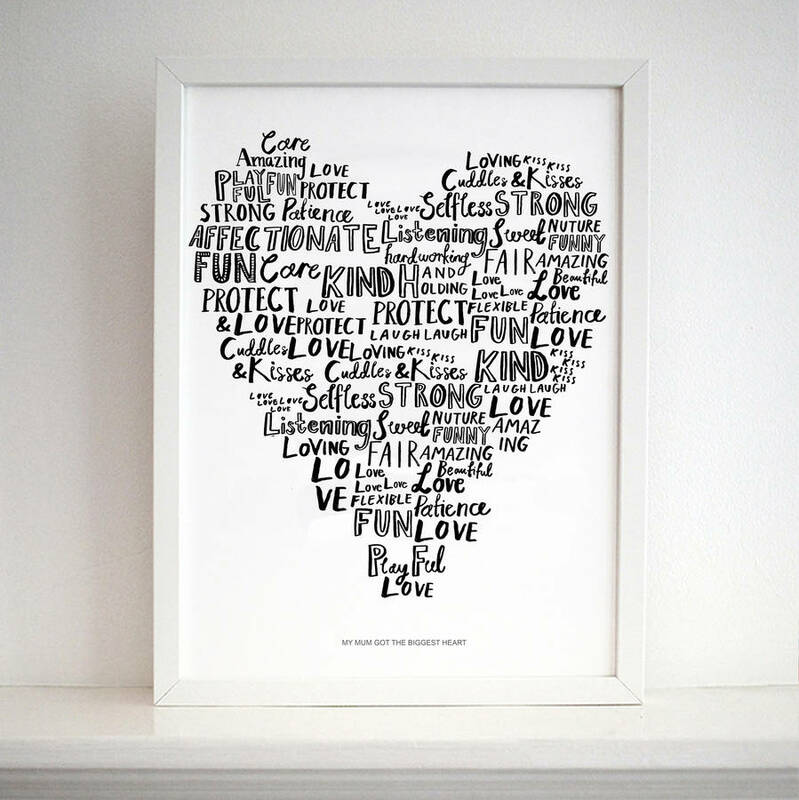 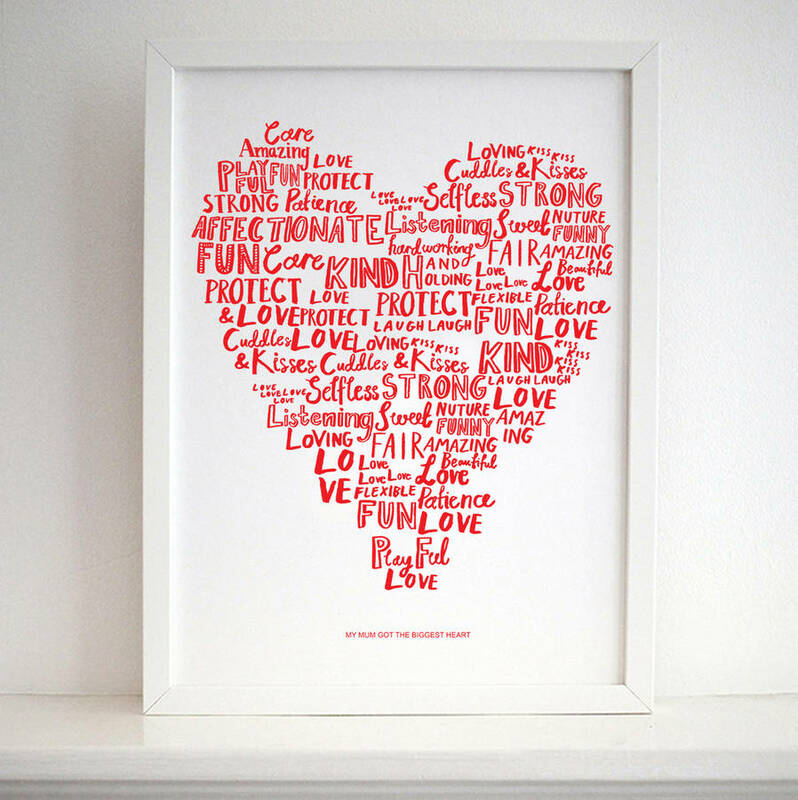 This print feature a range of words relating to your loving mum and they create the shape of a heart. 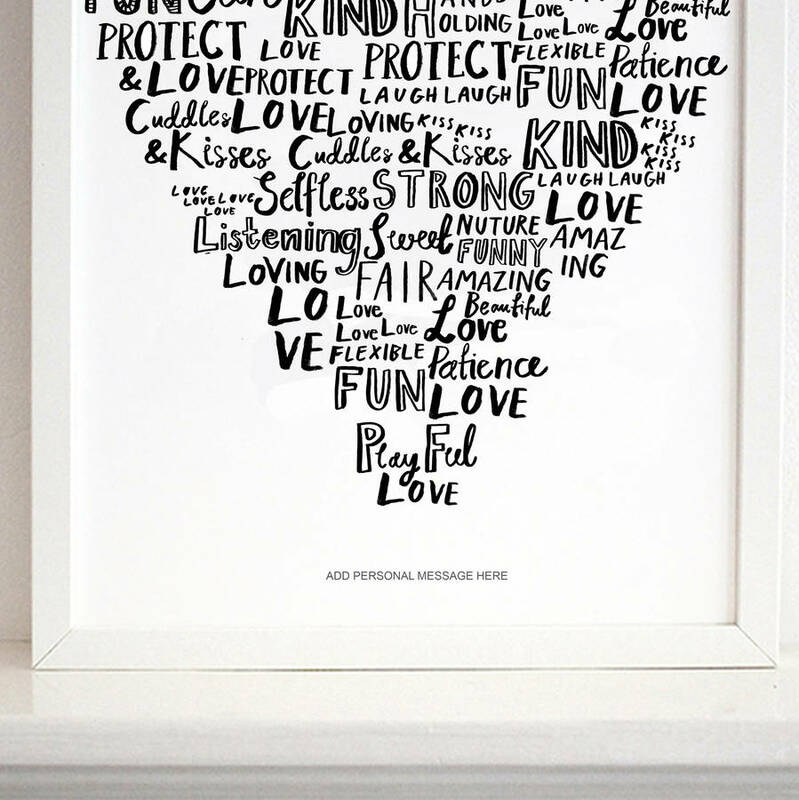 The print would make a wonderful gift for your mum on any occasion you want to make her feel extra special! 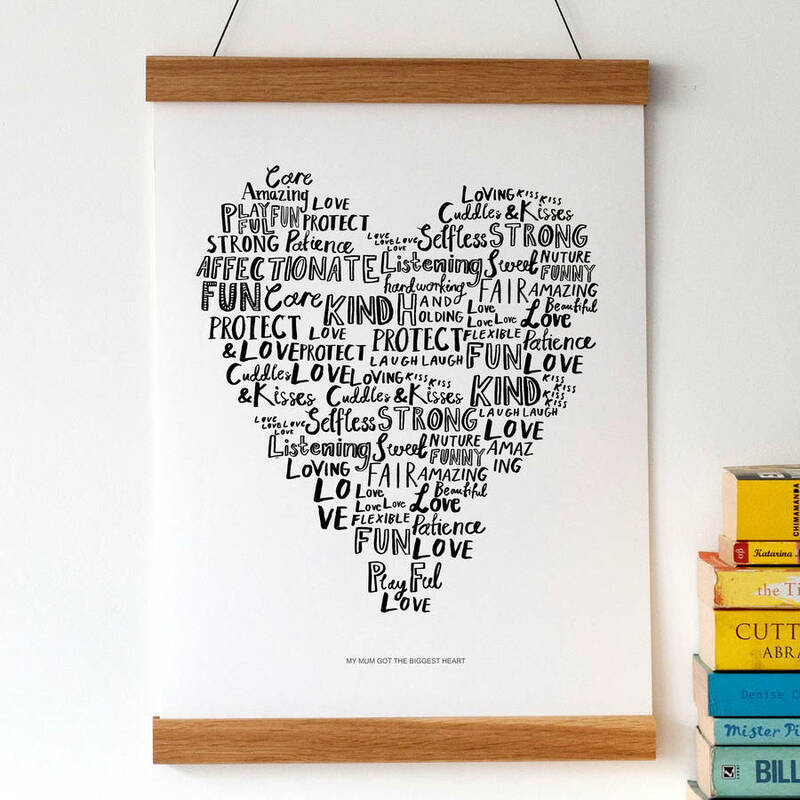 Choose between the standard quote - 'My Mum Has Got The Biggest from the drop down menu or if you prefer you can use your own quote.